In the past months, Nepal Flying Labs, hosted by the location based service provider company NAXA pvt. 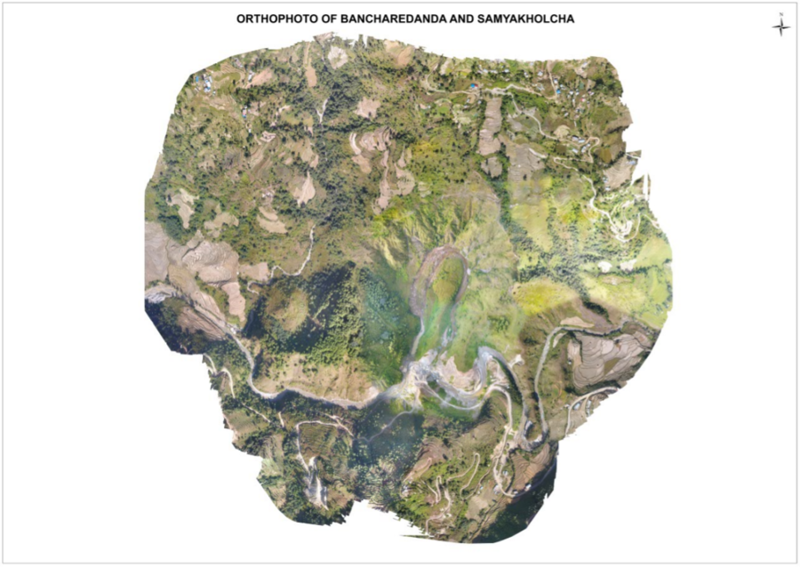 Ltd. carried out a drone-based topographical and cadastral mapping of Banchare Danda and Samyakholcha, the newly proposed landfill sites of Kathmandu, the capital city of Nepal. Kathmandu has been struggling with garbage for several years. The landfill site at Sisdole in Okharpauwa, Nuwakot district, has already reached its maximum capacity. The government, including the metropolitan offices in Kathmandu, has been working to build a long-term facility for proper waste disposal in Banchare Danda, a location near the current landfill site but the progress has been too slow. 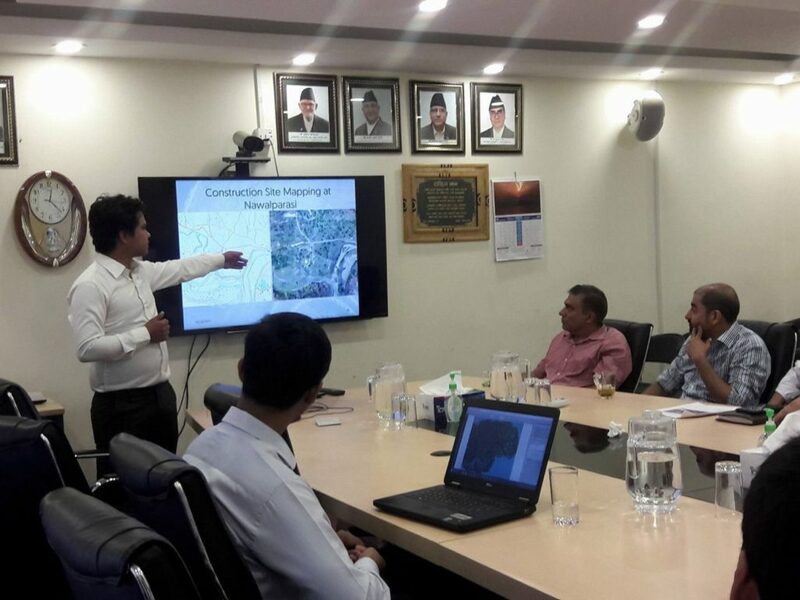 The technical team at NAXA together with Nepal Flying Labs and their business incubation program’s winner Dronepal, jointly proposed the Investment Board of Nepal (which is currently supporting the construction of permanent structures at the new proposed locations), to use drone-captured images for preparing accurate maps. This can be used to estimate the amount of waste the new locations can hold, calculate the area of land that needs to be acquired and generate a three dimensional map of the site to help the project planning phase. Usually, surveying locations such as landfills is very difficult to perform with ground-based measurements and equipments because of undulating topography. Only recently, in a meeting held among the cabinet of ministers on November 3, 2018, the government decided to green-light the site construction for relying on wastage dumping of major parts of the valley in Banchare Danda. Years before, the government had begun dumping waste at Okharpauwa landfill as part of a temporary arrangement while a new landfill site at Banchare Danda was being built for the following two years. The office of the Investment Board Nepal (IBN), under its Integrated Solid Waste Management (ISWM) project, was the direct client to which the outputs from the survey had to be delivered, which their team of experts would later use to decide on the site feasibility. The amount of volume the new sites could hold was calculated using the contour maps derived from drone images. The existing cadastral maps was overlaid over the high. Resolution orthophoto maps to estimate what amount of land falls within the landfill site boundary and what amount of land needs to be acquired. The cadastral map helped in recognising information on the quantity and ownership of the lands to be acquired. The digital surface model holds the three dimensional data of the proposed site and can be used during future construction works. The 3D model can be used in visual overview of the site, in project sharing presentations among the project senior committee members. Compared to widely used existing methods of ground survey, the drone survey provided better datasets in a short time and better resolution. 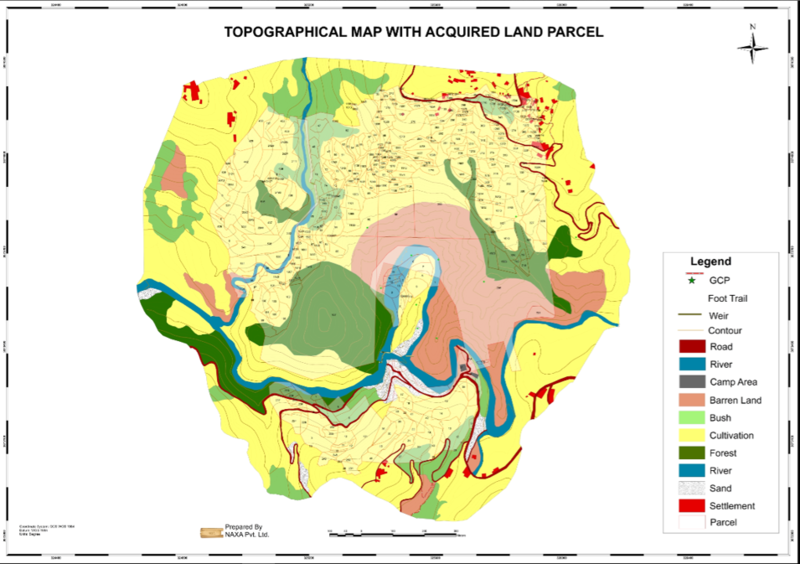 The orthophoto and topographical maps, combined, helped in the planning process by providing high quality metrics which would otherwise be much difficult with the traditional means of surveying in such complex topographical conditions. In Nepal, considering how challenging the majority of topography can be, drone technology could make a huge difference in the quality and speed with which development can be achieved, and we are dedicated to leverage this technology to make this possible.